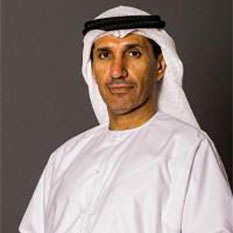 Dr. Mohammed Nasser Al Ahbabi is the Director General of the United Arab Emirates (UAE) Space Agency. He obtained a Ph.D. in communications from the University of Southampton from the United Kingdom in 2005, and a master's degree for the same university in communications in 2001. He completed a degree in electronic engineering from the University of California in 1998, in addition to many specialized military and government courses. Dr. Ahbabi has tremendous experience in civil and military work and academia. He became a telecommunications officer for the UAE Armed Forces until he reached the rank of Major. During that period he also worked as a coordinator for Dubai Internet City until 2000 then as a telecommunications officer for Sharyan Al Doea Network and a project manager for Yahsat military division from 2005 to 2012. Photo and biographical information from the UAE Space Agency. 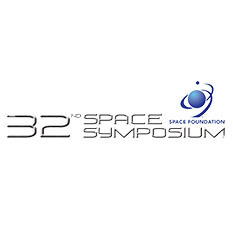 The annual Space Symposium in Colorado is a must-attend event for space leaders from around the world. Our coverage begins with United Arab Emirates Space Agency Director General Mohammed Nasser Al Ahbabi, and then moves to ESA Director General Jan Woerner and Chief Scientist Bernard Foing.